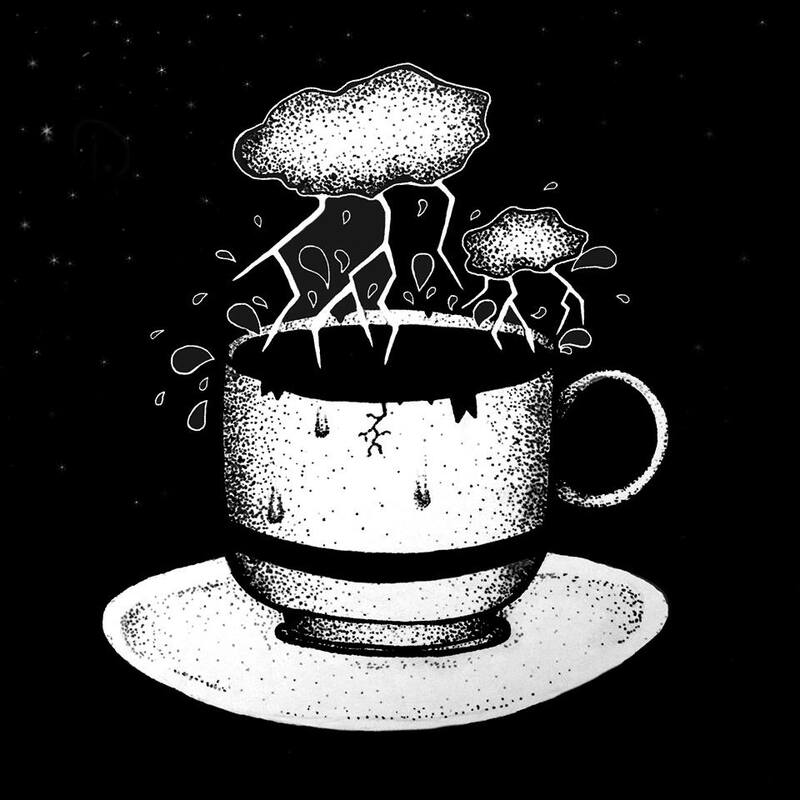 We get many submissions, some we care more for – in this case Britt Rion and her charming music-video, alongside an even more hypnotizing song: “Chaos & Beauty“. Some of the best music undoubtedly comes from down under, in this case New Zealand, as we’ve seen and heard with Fishrider Records way back in the past of this webzine. At the first glance you might write it off as your regular pop-oriented blasphemy, but the further in you get – she sets a mood that diverts the attention from pop, into a marvelous metamorphosis of that, singer-songwriter and indie-pop. The catchiness is the only thing lent from regular pop, but the lyrics and intonation in her music is more subliminally beautiful – so she doesn’t have to resort to making a visual interpretation that reflects the vanity of regular pop music – it is a simple video that is Grime-esque in a sense – if you’ve seen one of her videos from “Genesis“. Her voice is stunningly beautiful as well. We have to struggle not to move out of our own bleak hearts, it is as if a dystopian scenery quickly changes into a beautiful field and a forest full of local creatures singing in the day, when the sunlight hits your eyes and you’re with someone you love. STEREO NO AWARE is completely new to us. 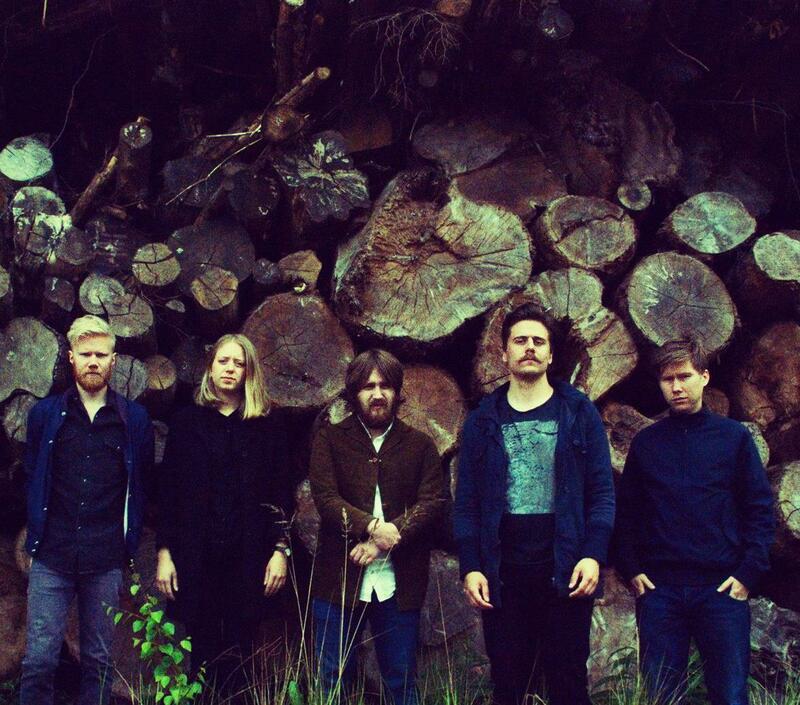 Their sound is experimental rock’n’roll with psychedelic influences. We had the opportunity to receive the limited edition color version of the vinyl-release, which is beautiful in all its aesthetic glory. When it comes to the general aesthetics of the release there are too much colors for us and a coherent theme cannot be found – but that does not discourage listening. Each to his own. The aesthetics are on point when it comes to knowing from the first glance, what kind of genre and record this is going to be. The covers are very pattern-based when it comes to the outer layer of it, and more basic and down to earth when it comes to the inside of it. Lyrics for each song have been printed on the insert and is sharing the space with artistic doodles of different creatures, a computer with tentacles and something which looks like a freely interpreted version of Edward Munch’s painting “The Scream“. There have been many people involved in the making of the artwork itself (both sleeve and front cover), such as Jonathan Ash, Jane Nicola Rossi and Isaac Ashlind. Now on to the music. The first song “Passing For A Ghost” is obnoxious in all its experimentalism at first, with the different voices and basic rhythmic beat, but it is swiftly sidelined into a more oriental vibe together with the ethereal mind of someone else. It is like there are different personalities on display within the song itself, like a madman talking to himself or an organic trip between a younger and older self. What is exciting about this form of rock’n’roll is that there are so many instruments that aren’t used normally. From different flutes to what almost sounds like mandolins, but probably isn’t. They themselves call their music “experi-mental pop”, which might be an apt title to put on yourself, but I believe it is more then just that. Popular music has no bearing in their music, especially not in this first song. It is too “out there” to ever be popular in anyone’s mind. Probably why they used that play of words with “experi-mental” pop. “Tristram The Manipulator“, the second track is more coherent in the general sound and is a part of a huge soundscape which one could get lost in immediately. Though we’re not a fan of the almost rapped lyricism a bit into the song itself, the reverberating noise that the rhythm and baseline together with the drums produce – is astonishing in and of itself to make up for that lack of musical prowess. The vibe is switched from emotional and right up the funkier alley – right into 8-bit crunched up and claustrophobic beats. There is a lot of attention to detail in this song in general, where every shade of instruments gets a play in between the main rhythm (if there was one) and the rest of the song. “Yareta Yorona” is even more emotionally invested then the other songs so far. We’re not fans of the poetic side of the talked lyrics, though more of a fan of the stoner/psychedelic influenced vocals that appear further in. Attentively changing from a darker, more distorted voice to a louder and pitched one. Two different worlds that collide perfectly and make for nice moments. Everything flows so great together except the aforementioned babbled (though audible) lyrics. The singing parts are much better. Too bad that some of the outro goes into an obnoxious playful fogged up state, but it is saved by the more acoustic and sincere proper ending. “Cattle Calling” is messed up in a lazy way. It feels like they just let everything go, but at the same time the melodies in the song are on point. There’s too much experimental hitting on the drums, slapping on the baseline and churning on the guitar going on, until a desperate vocalist manages to save the good melodies with his voice – as it goes totally spaced out. An otherworldly sound complete with the influence of a saxophone – haven’t heard that instrument until now – but it gives off a jazzy and entwined feeling together with everything else. “Pagan Feelings” is like a continuation of “Cattle Calling”, it could almost be the same song, outro-wise at least. The big difference between these two is that it continues down the same trodden path in which STEREO NO AWARE have made us aware of their talent. An experimental needle in the right position, delivering everything they can in terms of musicality to make up for their past mistakes. The common theme is the spaced out and less filled up, erratic soundscape. They leave silence to play a bigger part in the sound then they have before in the other tracks. Everything from the beginning of the song up until the end goes more acoustic, as it has been with the latest tracks we’ve listened to on this album so far. “Normal One” is the highpoint. They’ve managed too well to combine the organ with the drums and the vocalists ‘normal’ state. Had they not screwed up some of the rhythm by filling out the space left by the organ as it slowly disappeared, it would’ve been the best song so far. Though having said all of that, we believe it combines the best elements of their music and turn it up a notch – to make it believable. “Oaks Park” is perfect when it comes to the drums. Everything else is just a companion on this flipped out journey. They touch a deeper nerve with it and hold themselves together instrumentally. From the guitar-licks to the sharpened edges of the fast-paced strumming of guitars at some points, is replaced later on with an outdrawn saxophone that slows down the tempo a notch and bring a cloudy comfortable feeling of well-being into the mix. As the songs grow longer, “The Great Dialator” adds a minute or more to the song in comparison with the others. Accompanied with a robotic voice, maybe this is the epitome of human and AI interaction – they can never convey that feeling which is human – they will never encompass all those facets of humanity. No matter how much Bladerunner 2049 will try and convince you otherwise. No matter how the futuristic automation will keep us from doing what we loathe. There is something humble about this song and it convey their more primal outlet. Had they simply removed “Tongue Clouded“, the album would’ve been better off. It is a decent song, but it is so far removed from the feelings that have been given by them musically so far. Though one favorite part is the stern baselines that comes into the song, but one-two seconds later it is far gone. Just to arrive again. They could’ve built on that emotion further – it had a rejective theme to it and a more dark, sinister outlook on things then what have been made clear so far. “Conversely (Exit Tango)” is a mish-mash of everything you’ve heard so far. To get a grip on STEREO NO AWARE – you must listen to it. It gives you a grasp on what this album might be all about, musically. A very ambitious track and the longest one on the record so far, with old-school piano-playing and in more of a drunken haze then before. Imagine film noir gone completely decadent cabaret. Together with “Credits“, both are your typical outros but the first one was made into a track instead that clings to what have already passed (the other songs). After having heard this it sounds like so much different music one have already heard, but they have something distinctly theirs. It would be interesting if they could develop it further, though they’ve already done it to good length already. Maybe this is the final product. A good album if you’re into experimental music – if you’re not, then this might not be for you. Listen to it in full down below (digitally) and do yourself a favor – order the limited edition vinyl – the colored one(s). Baula är tillbaka återigen med en låt inte helt olik deras förra, “Just Like Yesterday“, men i denna är det mer sväng och känslan andas svensk indie-pop mer än någonsin. Det finns en mer post-punkig vibb till denna i bemärkelsen att basen är tyngre, musiken koncentrerar sig mer kring det mörka, det obestämda. Även om utsvävelserna är få så finns de där för att påminna oss om det känslosamma som genomsyrar låten. “Nova” är ett steg i samma riktning, mot ett konkret mål och mot någonting större än vad de levererat hittills. Lyrikerna i låten är simplistiska men tjänar syftet till att sätta ett större fokus på musiken som sådan även om de tar upp en stor yta i låten. Sommarslutet hade väl inte kunnat sluta på ett mer passande vis? När vi nu tagit oss in i September känns det mer passande för detta mörker att tränga igenom. Låt oss få vägen dit visade av självaste Baula. När staden ekar tom så är dett vad som kan ljuda igenom. Omslaget är gjort av Fanny Valentin och låten spelades in av bandet tillsammans med Henryk Lipp i studio Music A Matic i Göteborg. Markus Hulthén har passat på att utvidga sitt musikaliska engagemang och rötterna har spridit sig till Stadens Brus – där han med hjälp av Henrik Öhberg (på trummor), Petter Lindhagen från Feeder Recordings (filtersvep) på mix och samproduktion av låten. Vad heter den? Jo, “Oväntat Möte”. Enligt honom själv är det ett försök att låta Etiopisk (Hailu Megra som inspiration), men det faller kort för en psykedelisk masspsykos. Personligen tycker jag att det psykedeliska gärna får ta utrymme på bekostnad av vad han försökt att få det att låta som. Det är välproducerat, fint utskissat med tillfälle för utmärkta allegorier som passar sig bäst i ett underjordiskt zine. Tyvärr är det abstrakta konstverket som är omslaget tänkt att föreställa något (eller inte), en påminnelse om hur denna sorts musik inte borde gestaltas överhuvudtaget. Även om det psykedeliska gärna får influera musiken så gör det sig inte särskilt bra i övriga medium. Illustration av Andre Kleine. Denna låt släpps på Feeder Recordings och det går att lyssna här nedanför. We must admit that we’ve gone and gotten ourselves stuck with a ‘guilty pleasure‘. 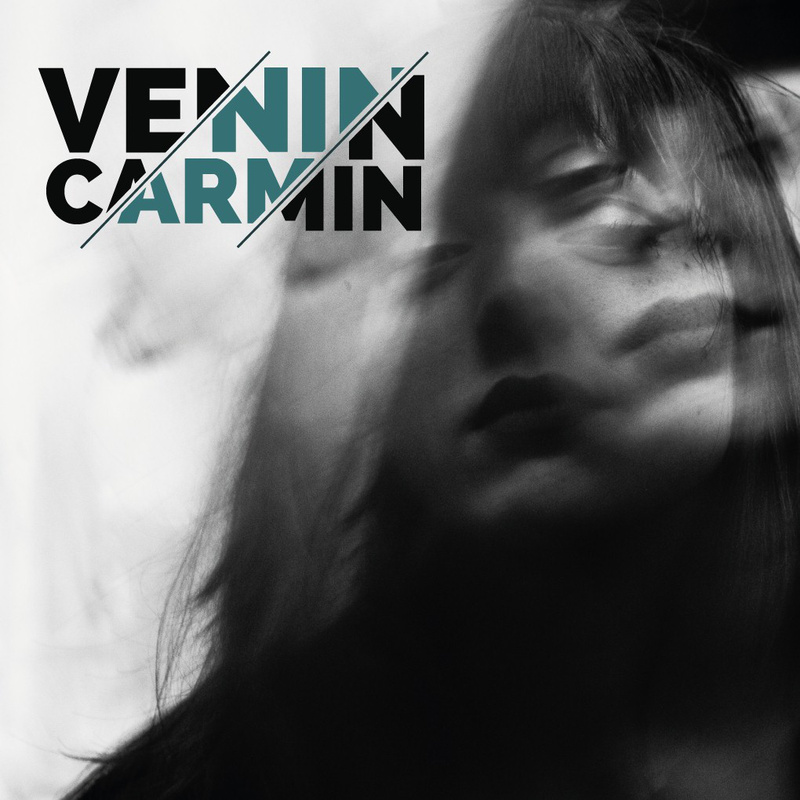 Venin Carmin from the electronica duo Kelly und Kelly, have moved on to a solo-project. She calls it ‘dead pop‘ but we’re not sure what she means by labeling it that. Her sound is in between the peppiness of popular electroclash artists and groups, with an emphasis on pop. The album “Glam is gone” is her debut-effort that is ten tracks long and spans over thirty minutes in length all together. We’re not sure if the glam has gone away but we’re pretty sure that elegant glam, glitter have gone and died somewhere, in the depths of the club’s catacomb. Though questions arise when it comes to descriptions—we’re intrigued by the sound if we could strip away the inane lyrics—but also the singing style. The whole internationally-styled delivery, often courtesy of Ed Banger Record’s entrance into French electronic music, have always been unbearable to listen to—as proven by Uffie‘s debut in the limelight with: “Pop The Glock“. She does it way better when her chansons turn into semi-ballads with an emotional message, rather than the mindless and vain attempts to create a hybrid of melodic synth and generic post-punk. So when about half of the album have been listened through, songs like “Fade & Forget” enhance our understanding of her music. When she has the capability to create such an emotional barrage that is catchy but not too deep into pop-oriented templates, it’s intolerable to start everything over again and endure the first songs. After that song everything seems to have started over again and then—”The Spiral Dance” starts—changing everything again, to a melancholic ballad with its main focus on percussion—with lovely, but static synthesizer-pads that create a whole new atmosphere. The last song is the title-track “Glam is gone” which surprise us as she focuses more on a cold-wave singing style, a concrete and stern voice resounding. Matched with an equally as restricted atmosphere that is well-produced, but intriguing. Listen to “Glam is gone” down below and make up your own mind. Det här är ett avsnitt som jag velat göra sedan jag startade denna podcastserie. Egentligen fanns där inga stora förhoppningar om att lyckas med det, men efter mycket om och men så blev en intervjutid bokat för avsnittet med Gustav Jansson från duon Sturm Café. En grupp som inspirerat många andra inom den “nya” svenska bodyscenen som långsamt började växa fram under tidigt 2000-tal – där Sturm Café var mer prominenta nu i efterhand – än vad de visste där och då. Men egentligen är det helt egalt i sammanhanget. Fokuset låg på hur bra musiken var och vad som varit upphovet till deras musik, inte bara i studion men också i dynamiken hos duon och deras liveframträdanden – egentligen hela det kit som gjorde att denna duo på ett rätt så framgångsrikt vis kunde göra ett avtryck inom elektronisk kroppsmusik – både här, i Tyskland, men också i resten av världen. För att inte glömma att nämna de otaliga sidoprojekten, varav Kommando XY och Working Puppets utgör de mest prominenta – och kanske egentligen de man intresserat sig mest för. Nu har man gått och väntat länge på att få släppa detta avsnitt, som är mer än två timmar långt och innehåller en djupintervju med Gustav Jansson. Här får man reda på en mängd saker som inte kommit fram i tidigare intervjuer, kanske för att frågorna inte formulerats på detta vis eller att intresset inte funnits. Förutom att avsnittet är så långt så finns där även tre exklusiva och osläppta låtar, som “1632” från det färdiga (men osläppta) albumet “Europa!” av Sturm Café, demoversionen med en annan sångare på låten “Kyss Mig” av KROPP, och en tidig demo av låten “Mozart-Ideal” som förmodligen är en av de mer populära alstren Sturm Café levererat. Mycket mer kan egentligen sägas och man skulle kunna täppa till så många andra luckor, men jag låter någon annan göra det. Det finns alltid något av intresse. Det är bara så skönt att äntligen kunna leverera det tredje avsnittet av Maskinåldern. Nu tycker jag att vi kör igång maskineriet för fullt.